Now that spring is officially here, we are looking forward to warmer weather, plenty of travel–and, of course, lots of guests! Living at the beach, it seems that when the weather changes, suddenly everyone wants to come visit. And we can’t think of anything better! Check out a few of our favorite tips for creating a lovely room that your guests will never want to leave! Invest in cozy bedding. Nothing says “welcome” to your guests like cozy, comfy bedding. 2. If there’s room, add a chair–or two! It’s so nice for guests to have a spot for relaxing right in the privacy or comfort of their own room. 3. Think about their comfort. When it comes to sleep, few things are as important as the mattress! We always suggest sleeping in your own guest room every now and then to see how it would be to be a guest in your home. If the mattress isn’t up to par, it might be time to upgrade. Check this fabulous selection–including the Bedding Mart family bed! 4. Keep it clutter free. A few well-placed accessories are more than enough when it comes to guest rooms. We don’t want to overwhelm our guests with personal mementos and too many accessories. 5. That said, it’s always nice to provide guests with all the essentials they’ll need! A stack of fresh towels, shower essentials and a water pitcher are all nice touches. 6. Include a few favorite reading materials–books, magazines, today’s newspaper–in case guests have a bit of downtime. Bonus points for this fabulous reading nook! 7. If there’s room, there’s nothing we love more than a desk in a guest room. We’re all so connected these days that it’s hard to totally unplug and a desk gives guests a place to sneak in a few minutes of work without any interruptions. 8. Footboards are great, but not every bed has one. When faced with a bed with no footboard, we love the look of a bench at the end of the bed. A chaise or a pair of chairs is also a great complement and gives guests a spot to sit and read, watch TV or simply put on their shoes! We don’t know about you, but these gorgeous guest rooms have us ready to do a little entertaining of our own! What’s your favorite way to make your guests feel at home? 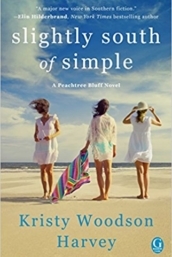 My latest novel, THE SECRET TO SOUTHERN CHARM, releases on April 3, right in the thick of Spring Break! And, Southern Living just named it one of its “Best Spring Break Reads.” Hooray! Now is the perfect time to preorder! Fabulous tips for guest rooms that convert am ordinary bedroom into a 5+ Star sanctuary.